Your Friday night should include a visit to Barboza, where EMA (Erika M Anderson), will headline. EMA, who raged out of South Dakota with the band Gowns, hit out on her own in 2010 with the album Little Sketches on Tape. 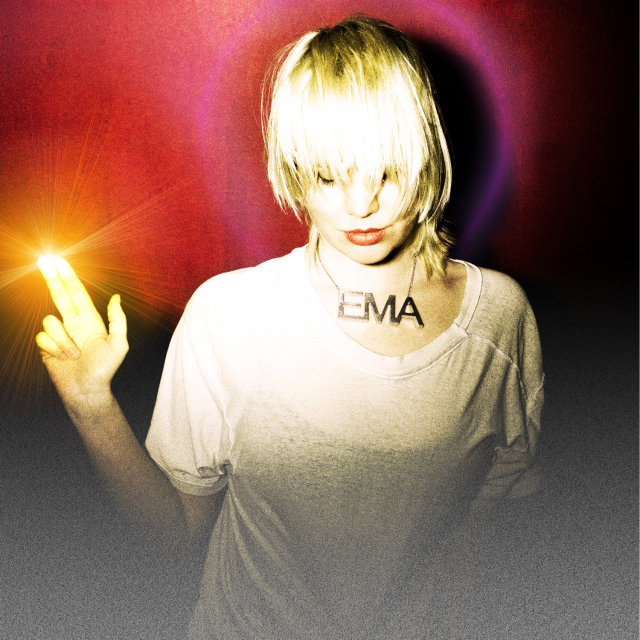 A serious Internet sensation, EMA brought an individual specter of electronic lust to fans everywhere when she became this incredible solo artist. Her third release – and first with Matador Records – The Future’s Void, brings us such great songs as “Neuromancer” (which she performed recently on Late Night with David Letterman), and “Satellite”. Fabulous stuff. EMA’s appearance at Barboza is an early show, with doors at 7 PM. Written by: Dagmar on 10/22/2014. This entry was tagged ema, erika m anderson, posted by dagmar. Bookmark the permalink.